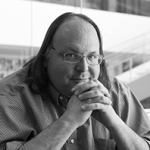 In this blog post, D&S Ethan Zuckerman discusses some of the recent work being done by Helen Nissenbaum. While also being a leading thinker on the ethical issues faced in digital spaces, Nissenbaum also lends her support and helps build software to counteract these issues. Among these projects is Cryptagram, TrackMeNot, and now Ad Nauseum- all of these programs work in different ways to give users a sense of agency in their online dealings. To find out more about Nissenbaum’s work and AdNauseum read it on Ethan’s blog.